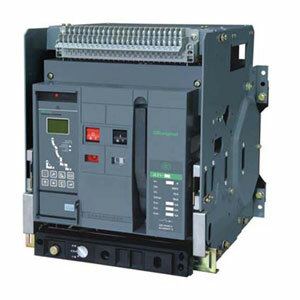 How to choose the right circuit breaker? If you choose a NEMA contactor, you choose a size greater than the full load amps FLA. You must derate if you have frequent starts, or jogging duty. If you choose an IEC contactor, you need to consult the tables on expected life when you size based on FLA.
Now you need to select what type of overload relay you want. Bi-metallic or electronic, manual or automatic reset? Choose the rating based on the directions for what you choose. If you are placing the circuit breaker next to the contactor, you can choose a Motor Circuit Protector (magnet trip only) or a thermal-magnetic trip breaker. You have to protect for currents above the overloads trip curve. If the circuit breaker is remote, and supplying the feeder to the motor controller, you again need to decide if you want fault only protection from an MCP, or a regular breaker. You also need to know what level of fault current is available, and be sure the breaker has a higher rating. You may want to choose a current limiting breaker, or include current limiting fuses for high fault levels. You need to know what codes you are under, to determine what the maximum breaker size is going to be. The best engineering method is to use software and choose a breaker to give fault discrimination on the circuit. You must take into consideration the maximum transient short circuit current. Naturally you must state nominal voltage, current and frequency. Further, you must define the opening time, including arc extinguish. In medium voltage, the total operating time (protection + breaker physical operation + arc extinguish) is normally ca. 80 ms.
You must define the type of extinguishing media which may be air blast, SF or air. Do not forget to define the auxiliary voltages: dc and ac. You must define the closing capacity (capacitive operation). If possible, define the number and type of auxiliary contacts. State that there must exist a pole discordance alarm and supervision. Define if there will be auto reclosing and, if positive, define the open-close-open cycle operation time.., and if the reclosing will be single pole or triple pole. State that their must exist an anti-pumping device. If I miss something, please refer to pertinent IEC standards.